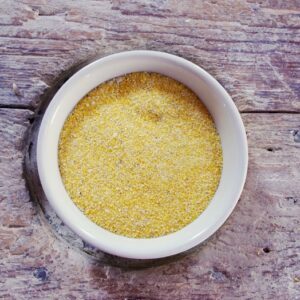 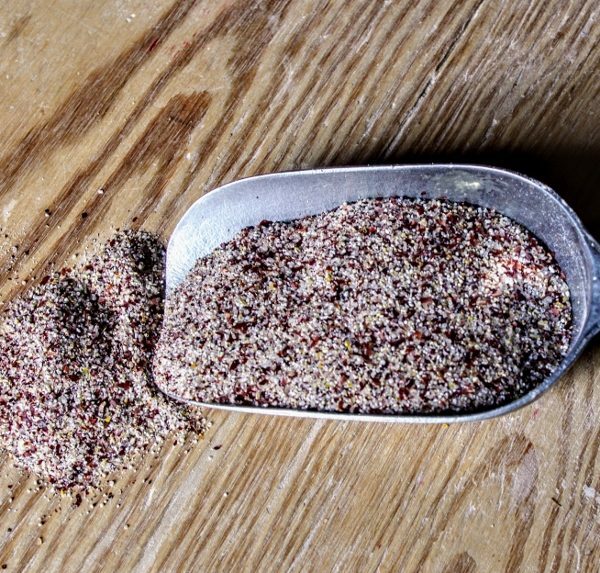 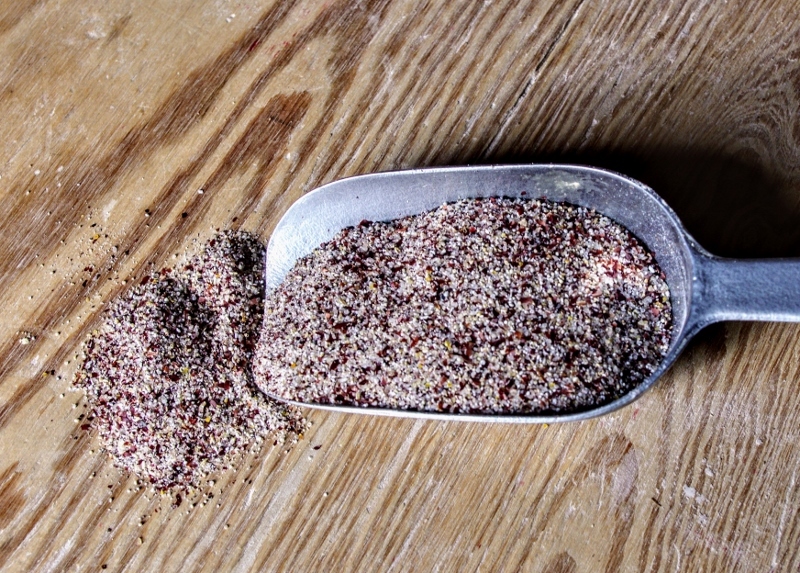 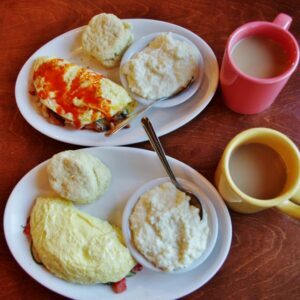 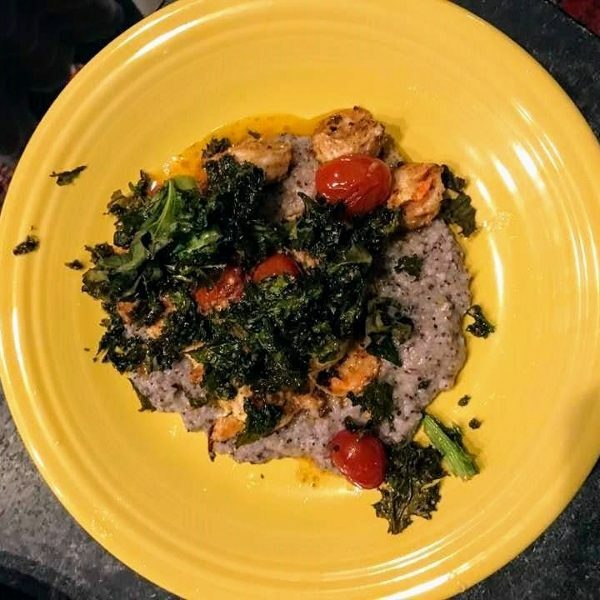 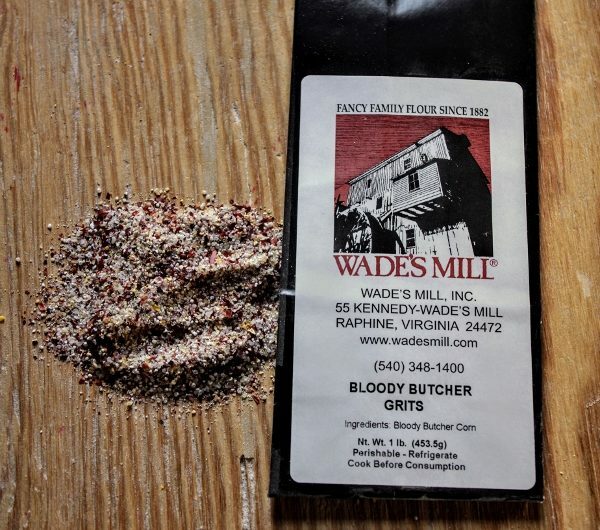 Wade’s Mill Bloody Butcher Grits are stone-ground from a heritage, open-pollinated, non-GMO crimson red dent corn that was introduced to the settlers in Virginia by the Native Americans in the 1840s. 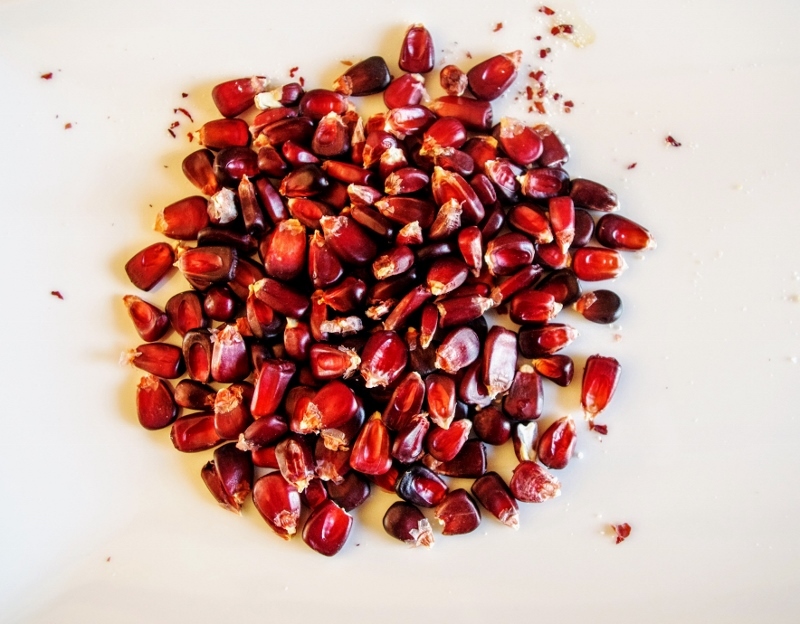 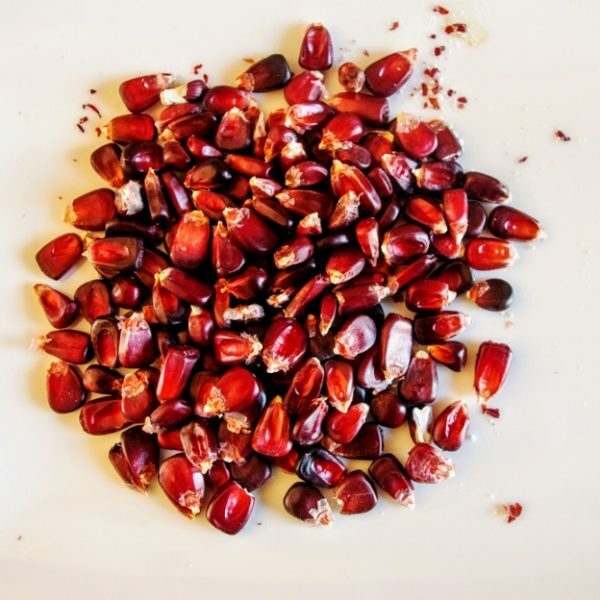 The ground corn is white with dark red flecks throughout, like blood splatters on a white butcher’s apron, thus the name “Bloody Butcher”. Bloody Butcher is known for its delicious, rich and nutty flavor. 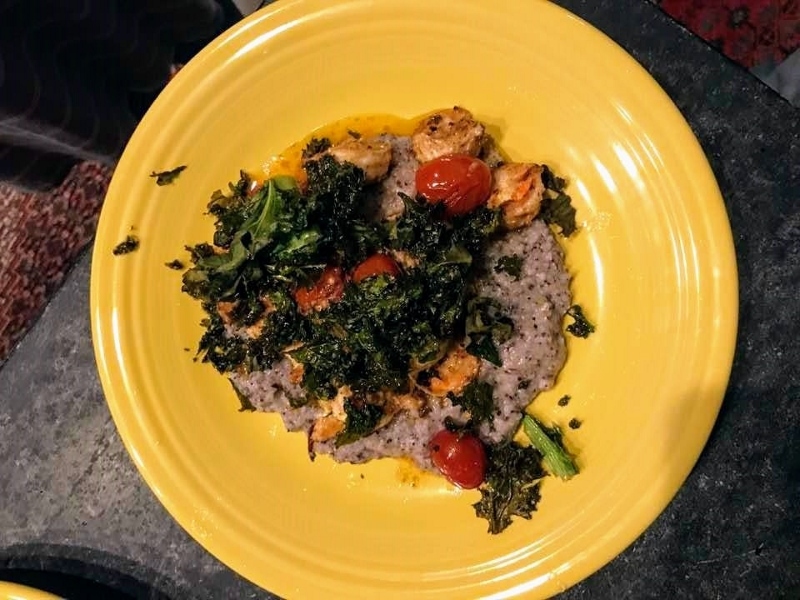 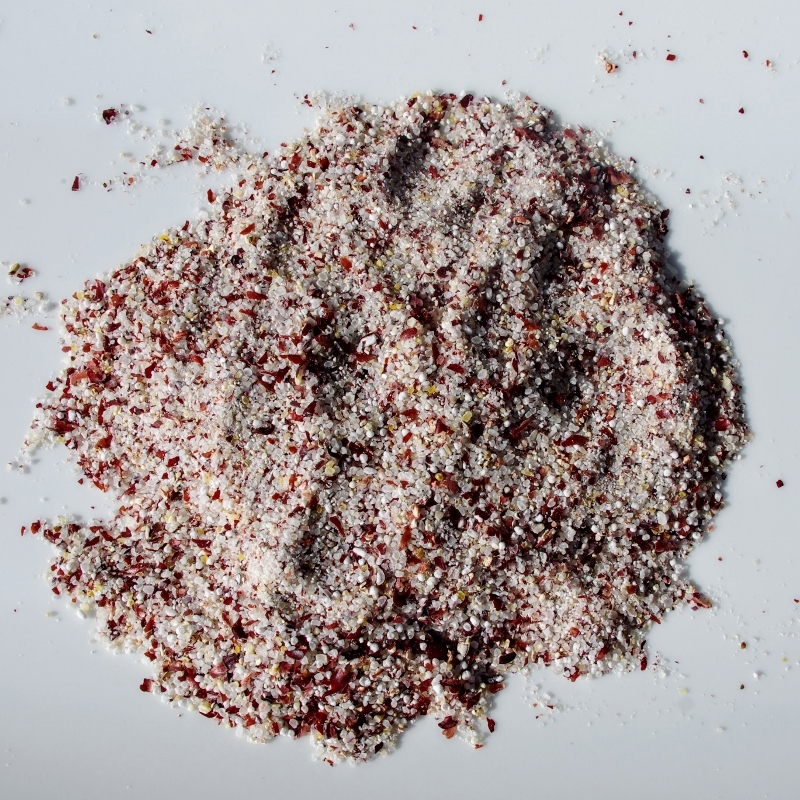 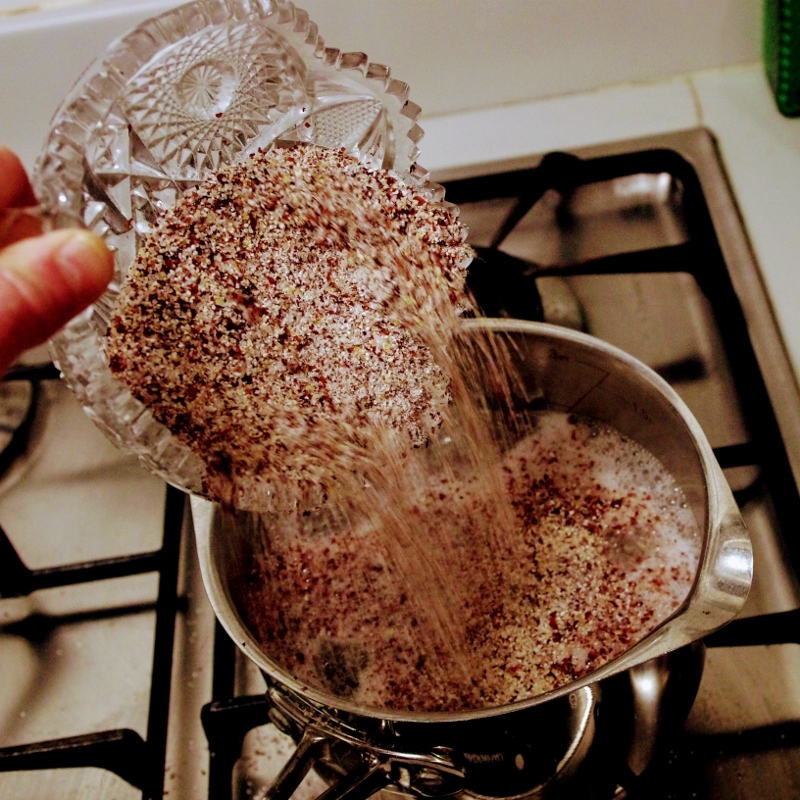 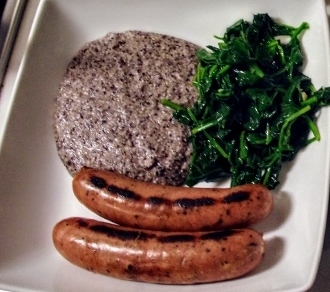 Bloody Butcher grits are a beautiful pale burgundy, making an unusual and lovely side dish or a colorful base for shrimp, sausage, bacon or whatever else you love to add to your grits. 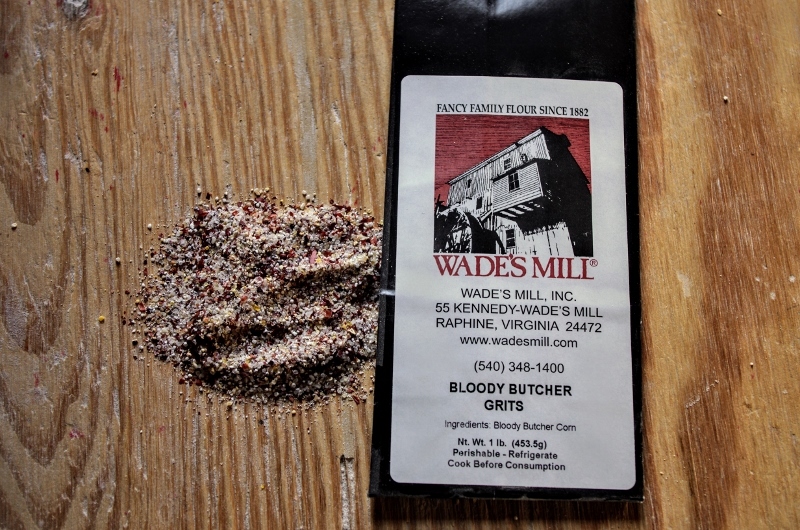 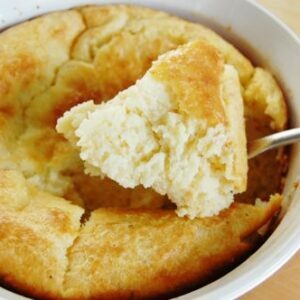 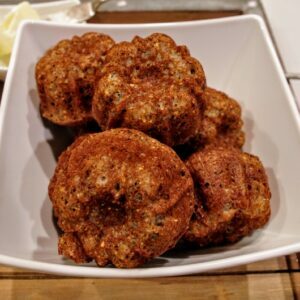 Wade’s Mill Bloody Butcher Grits are 100% natural with no additives or preservatives and are gluten-free.